RemoteLock have developed a range of Smart Locks and Access Controllers, with intelligent service integrations for systems such as AirBnB, Guesty, August and more! 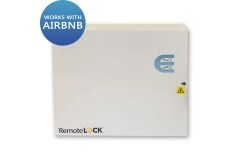 LocksOnline are proud to bring the suitable range of solutions by RemoteLock into the UK market, to solve so many access control scenarios, not just for AirBnB and other hosting platforms, but also for unique access settings such as safe dog-walking locations where one-off or subscription-based payments can be made to use the enclosed safe area, or even things like private gym memberships. Both the Smart Lock and the Smart Door Controller offer these fantastic array of features, all at a very reasonable price and with very respectable subscription fees depending on the features you require. Take a look at the offerings below! 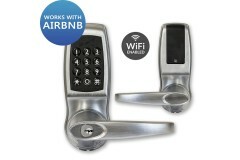 Bring the power of RemoteLock to your doors and access systems, with this smart universal door contr..